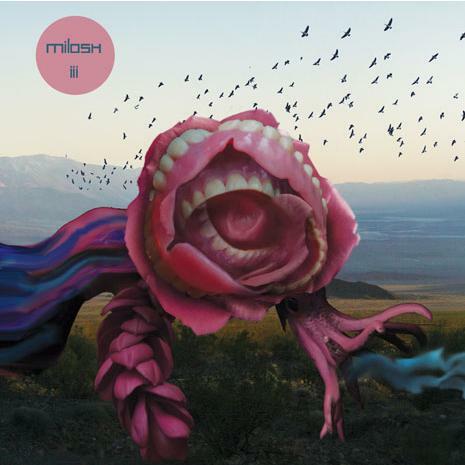 Milosh (Toronto, Canada)makes music for the mind, body and spirit. Introspective, intimate, sensual electro-folk steeped in perfumed melancholy and luscious romance. Combining beats, samples, guitars, strings and the most silken falsetto voice since prime-time Smokey Robinson, the third Milosh album iiitakes the listener on an emotional journey through an exquisitely beautiful musical landscape. Aclassically trained cellist, jazz aficionado, Neil Young fan and devotee of left-field electronica, the Toronto-based Michael Milosh does not fit conventional pop categories - and nor does his music. His first two albums, You Make Me Feel (2004) and Meme (2006), earned warm reviews that likened his different musical shadings to Radiohead, Depeche Mode, Cocteau Twins, Jamie Lidell, Brian Eno and even caramel-voiced R&B crooner D’Angelo.